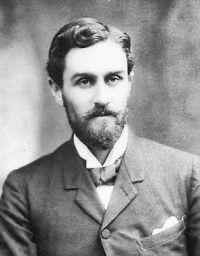 Sir Roger Casement, the British aristocrat, “made a fool of himself” in his dealings with the Germans, according to the wife of executed Easter Rising leader Tom Clarke. Kathleen Clarke described Casement as someone who really knew nothing about Ireland and who considered himself a leader of the Irish Volunteers despite being nothing of the kind. The interview with Ms Clarke was recorded in 1968 by Fr Louis O’Kane and has been stored in the Cardinal Tomás Ó Fiaich Memorial Library and Archive in Armagh until now. A full transcript of its contents has never been released previously. The Fr Louis O’Kane collection includes some 120 interviews with about 70 veterans or witnesses of the War of Independence, nearly all from the North. In late 1914 and early 1915 Mr Casement went to Limburg prisoner-of-war camp in Germany in an attempt to raise a brigade among Irishmen who had been captured early in the first World War. He hoped it would be the vanguard of a German invasion force which would liberate Ireland from the British, but only 56 out of some 2,000 prisoners joined. Mrs Clarke told Fr O’Kane that Casement had no mandate to do such a thing. “He went off to Germany and started things that the revolutionary group here didn’t want,” she said. However, Casement was successful in securing arms for the rebellion although the Aud Norge, the ship which carried the arms, was intercepted by the Royal Navy on Good Friday 1916 and scuttled. Mrs Clarke said her husband had said, while awaiting execution in Kilmainham Gaol, that the Germans “to the last letter of the law” had sent the arms they promised and deserved credit. 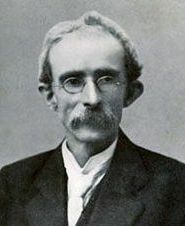 Mrs Clarke told Fr O’Kane her husband had made up his mind years before the first World War to start a rebellion if war broke out between Britain and Germany. 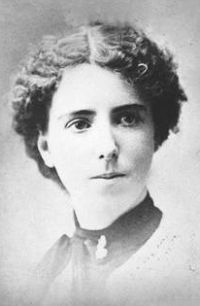 She and her husband only disagreed on one thing – they were living in New York in 1907 and he wanted to come back to Ireland but she initially refused. “I said, ‘You’ve done enough for your country, as much as any man could be expected’ and he said, ‘You can never do enough for your country’,” she said. Mrs Clarke became a formidable republican in her own right after her husband was executed in 1916. She was a founder member of Fianna Fáil in 1926, the first woman mayor of Dublin, a TD and senator. She lived until 1972. She was anti-Treaty and was interned by the government during the Civil War, but claims in the interview that she tried to persuade the men who were occupying the Four Courts in 1922 to lay down their arms. She told Michael Collins she would support the Treaty on the basis that it gave Ireland the “machinery to work out to full freedom”. In June 1922 she went to the Four Courts to remonstrate with the anti-Treaty forces who were occupying it. The occupation led to the Civil War. “It’s a challenge to Mick Collins and I know Mick well enough that he’ll only accept that challenge until such time as he can get an army together and kick you out of here. Are you going to wait for that?” she told them. The recording is available to visitors of the Cardinal Ó Fiaich library on Moy Road, Armagh, (the project is supported by the UK Heritage Lottery Fund). Helen Litton, a grandniece of Kathleen Clarke, will give a talk about the relationship between Tom and Kathleen at a conference in the library on November 14th. This page was loaded Apr 22nd 2019, 10:00 pm GMT.